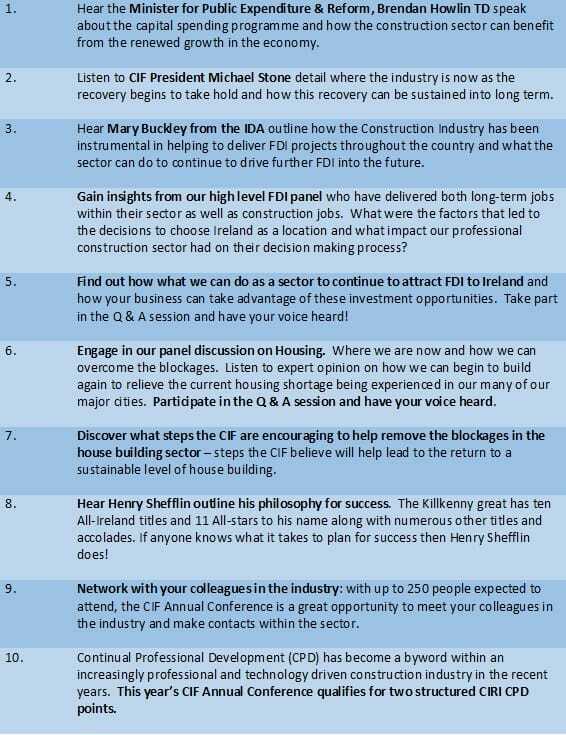 The Construction Industry Federation Annual Conference takes place on Thursday the 1st of October 2015 at the Hogan Suite, Croke Park Conference Centre, in Dublin. The theme of this year’s conference is ‘Activity, Jobs and Solutions’. The construction industry is now in recovery phase with 13,100 jobs created in the industry in 2014 and 6,300 created in Q1 2015. This year’s conference will focus on those areas which are key drivers of activity, foreign direct investment and housing. 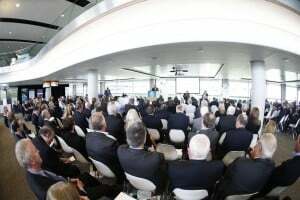 There will be a line-up of top level speakers along with panel discussions to allow delegates to gain insights into the latest information on the industry. Announcing this year’s conference, Tom Parlon, CIF Director General said: “We are delighted to announce Maples and Calder as sponsor of the CIF Annual Conference. Maples and Calder provides legal expertise and insight on construction matters to members of the CIF so having this partnership is very welcome”.